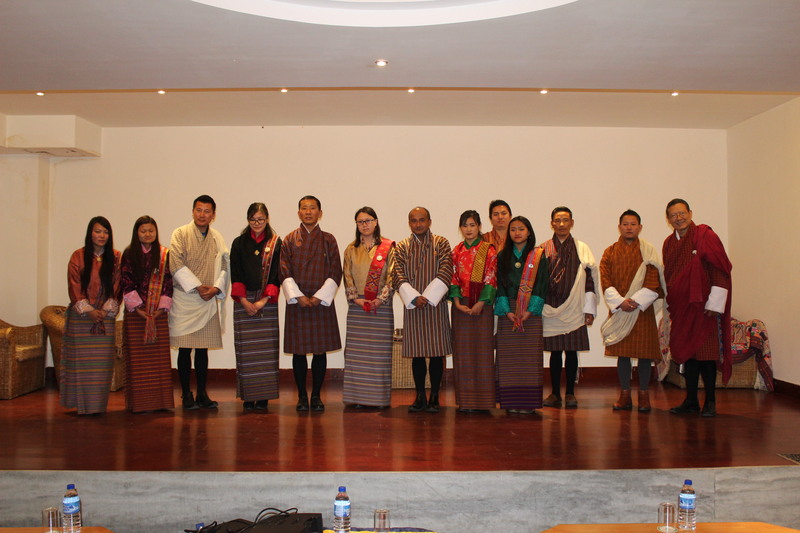 The closing ceremony of the induction program to the new Economic Development Officers (EDO) was graced by Hon’ble Prime Minister Dr. Lotay Tshering on February 1, 2019 in Thimphu. The main objective of appointing EDOs is to spearhead economic development activities in the Dzongkhags and to contribute towards realizing the national aspiration of Economic Diversification in the 12 FYP. The EDOs are expected to play a crucial role in achieving other national objectives of poverty eradication & reducing inequality, employment creation, decentralization and support other economic flagship programs in the Dzongkhags. While the Regional Trade and Industry Office will continue to provide regulatory services as usual, the EDOs will focus on providing business promotional services such as identification of business opportunities, facilitate development of sectoral plans, conduct business advocacy and promotion of CSIs. They will also serve as focal person for Priority Sector Lending Scheme, Tourism related services, agro based business, employment schemes and other related services in the Dzongkhags. The first batch of nine EDOs has been appointed in nine prioritized Dzongkahgs of Chukha, Dagana, Sarpang, Tsirang, Mongar, Zhemgang, P’Gatshel, Lhuentse and Trashiyangtse, and the second batch will be recruited towards end of 2019. The EDOs have undergone intensive induction course organized by the Ministry of Economic Affairs in collaboration with all relevant sectors such as Royal Civil Service Commission, Gross National Happiness Commission, Royal Monetary Authority, Tourism Council of Bhutan, Department of Agriculture Marketing and Cooperatives and Ministry of Labour & Human Resource.